I'm really digging it, especially the Sessions section. It will settle a lot of arguments, finally. Turns out that IS Jimmy playing on Donovan's Hurdy-Gurdy Man after all. And the Plumpton home studio photos - phwoah! I am also hoping this will generate enough interest in either restoring Degree of Murder to the quailty of Criterion or BFI or getting an actual album recorded from the movie. What is shown on his web site is the cover of supposed bootleg and the movie is dubbed from German and has maybe been in public domain. I was stunned by those pictures, too FireOpal, the 3 Yardbird ones, Kezar, the Firm that were from the Tear Down the Walls video and the new ones from Abbey Road. I received an email thanking me for providing feedback. So at the very least they are monitoring criticisms, opinions and suggestions. The facebook link saved it, so I was able to get it. 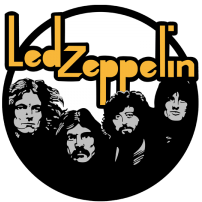 I didn't know in time either, slave to zep. If we are going to save anything, it has to be like a screencap the day its up. yeah, that's the page i was talking about. i think this is a much better homepage to view, rather than being sent directly to the on this day page. i thought this page ( in the pic ) had hyperlinks on it too, to navigate . I'm really digging it, especially the Sessions section. It will settle a lot of arguments, finally. No it won't. All the website did was copy a session list that was posted to this forum (and to FBO) last year! It's riddled with inaccuracies. It's not going to put Jimmy in a very good light when it looks like he is proclaiming that he played on Rolling Stones sessions from 1967!! Mstork, I agree - that occurred to me last night after I posted. I prefer Scarlet's photographs of Jimmy anyway, and perhaps a photo signed by both father and daughter would have more 'collector value'. Okay, that's it...Sam, I'm throwing my hat in the ring. It's painfully obvious so far that Jimmy needs a fact-checker and proofreader for his site, and I'm volunteering. As a bonus, I come cheap. Last time I checked the site, he still hadn't "The Song Remains the Same" or Roy Harper's "Stormcock" listed in the discography. The concert dates were still missing the 9-20-83 ARMS show at RAH, and the times he played with Bad Company in 1974 and 1976. I know about 1976 because I was there...both Robert and Jimmy joined Bad Company for the encore at the LA Forum, May 26(or 28?...I don't have my archives handy), 1976. I believe it was Plant's first appearance on a stage since his accident. So Sam, tell Jimmy I'm available to go over everything with a fine-tooth comb. I am confused, where is the news about the new album 2012? I heard about it on the radio an interview with Jimmy, how can you buy it? It's not available yet to regular folks - it hasn't even been leaked, and that teaser vid is bogus, just part of a sophisticated disinformation programme to confine circulation of the genuine article to the LZ Illuminati inner circle for now. However, I can confirm that it has been beamed psychically direct to my brain, and to certain other privileged Initiates - which, when you think about it, is a pretty nifty anti-piracy device. Regrettably, I've been told that I'm not even allowed to sing it to anyone, otherwise I will be transformed into a toad. i think you would do a great job, strider. i just found another mistake. i was reading about the arms concert, in the discography section, and it says " initially, the show at the royal albert hall was intended to be a one-off performance, but due to its popularity " and then nothing! like they forgot to type the rest of the sentence! i now it's a new site and all, but wow, so many mistakes .... jimmy must be livid. i would be. (or 28?...I don't have my archives handy), 1976. I believe it was Plant's first appearance on a stage since his accident. Who is proof-reading his site on the most basic of things (spelling, etc.)? Strider, The Forum show was just a few days prior, it was the 23rd of May. It was a wicked show. I certainly don't expect Jimmy to have 100% accurate recall on every detail, and I don't mind it if his memories featured in "On This Day"
out of concern for what the die-hard fans will challenge. "On This Day" could become too sterile if that happens. Perhaps they're busy moving Montreux back to Switzerland. Perhaps, they thought it felt more in home in France to begin with. Some people are just clicking that they were there for the sake of it, look at this one. Jimmy did a brand new interview today on the website. It's positively lovely. La jalousie, mon cher, la jalousie. Nice interview. Thanks for sharing Aen27. Thank you so much for putting this,aen27!It's a really nice interview of Jimmy. 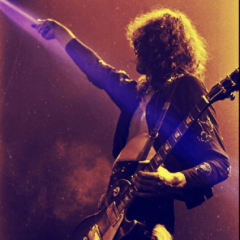 PM: Any final words on JimmyPage.com? JP: I think this is the ideal vehicle to present my past, present and future work. YAY!! Glad the site is finally up. Something more to look at while at work. Didn't work for me either. I'm sure there is a lot of this going on. Not from the true, devoted and intelligent Led Zeppelin fans. Morons do this for no reason.